This study presents a process of manufacturing and characterization of Aligned Multiwall Carbon Nanotubes (ACNTs) reinforced epoxy composites along with their microscopic analysis. Sonication method was used to prepare the composite plates with different conditions of curing along with various wt %. Mechanical characterization such as elastic modulus, stress–strain behaviour, hardness and microscopic characterization which include Scanning Electron Microscopy (SEM) and Raman spectroscopy were carried out. Nanoindentation method also had been adopted to obtain some mechanical parameters. 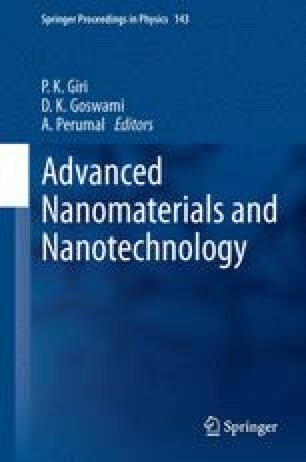 The influence of aligned CNTs dispersion on the mechanical properties of nanocomposites have been evaluated through comparison and analysis of stress–strain curve of samples cured under room temperature and refrigerated conditions. With increase in wt % of CNTs, the modulus in latter case were increasing thus by making stronger samples. The aligned CNTs were observed to be more strongly bonded to the epoxy matrix in above samples along with bridging mechanism. Raman results also supplemented the above by showing increase in intensity and shifting of G band in case of refrigerated samples that confirms better reinforcement and stress transfer from matrix to nanotubes.